Custom Cedar Home and Cabin Kits Designed and Shipped Worldwide! Let Pan Abode ensure the quality and design of your new home so you or your builder won't have to! Your plan or ours, Pan Abode Cedar Homes will custom design your home kit, ensure exacting quality, and ship to your site. Choose from solid Timber, Log or Post and Beam Building Systems to achieve the lifestyle you desire. True "Post & Beam"! Don't be fooled by Post and Beam imitations offered by other suppliers. PAN ABODE Cedar Homes Post and Beam Cedar Home Building System is the most popular choice in custom cedar home construction. PAN ABODE's Post and Beam designers will make your Post and Beam dreams come true. The Post and Beam Cedar Home Building System features a rich combination of Western Red Cedar siding and expansive rooms created with vaulted cathedral ceilings, large exposed Glulam Douglas Fir Beams and Walls of Glass. A sophisticated stacked timber system rivaled by no one! The Phoenix Timber Building System is a contemporary solid-timber cedar home building system featuring kiln-dried, laminated Western Red Cedar wall timbers and laminated hand-finished Douglas Fir columns and beams. Timbers and logs are joined in a corner-post fashion by a Phoenix Column Timber connector. The Phoenix Timber Building System is the strongest wood building system in the world and may be the easiest to construct. The Phoenix Timber Building System reborn with a rounded exterior Log profile! With the Phoenix D-Log Timber Building System you get the aesthetic appeal of a log home, with all the modern engineering of a PAN ABODE Cedar Home. The D-Log is the ultimate in custom cedar log home building systems. Cedar log home members are more structurally stable than Fir, Spruce, or Pine logs that can twist and check. A PAN ABODE D-Log home is truly exceptionally engineered and presented. Rustic refined stacked timber elegance! The Classic Timber system is the original PAN ABODE Cedar Homes Timber Building System created by a Danish cabinet-maker in 1940's. The Classic Timber Building System features solid, air-dried Western Red Cedar timbers that are precision-milled and hand-finished. The cedar timber wall members are interlocked together utilizing the time tested technique of the "Classic Notch". These Classic timber cedar homes are found tucked away in many corners of the world and are a lasting testament to the durability of this timeless cedar home building system. PAN ABODE Cedar Homes is proud to participate in the rebuiding efforts after the Haiti EarthQuake of 2010. Keep up with the progress of new dwellings being built on sites devistated by the event. PAN ABODE Cedar Homes offers a free custom home design and pricing consultation service for those intrigued by the fact that PAN ABODE Cedar Homes can custom design your new dream home. Take advantage of our experienced design staff to make your dreams come true! 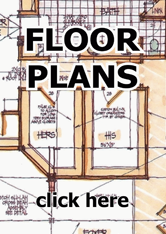 Choose and modify one of our standard plans, or supply us with your own plan or sketch and PAN ABODE will furnish free price estimating and design ideas. PAN ABODE Cedar Homes has Building Systems that are perfect for Cabin construction. Our systems are easily assembled and ideal for the Sportsman do-it-yourselfer. Packages come bundled and ready to erect. Building plans and guides are fully explanitory and come with full technical support. PAN ABODE Cedar Homes offers a wide variety of building products for not only our family of PAN ABODE customers to maintain their homes, but also the public. Choose from High quality Cedar Home siding, accent accessories, and advanced coating options to name a few. PAN ABODE Cedar Homes offers viable dealership opportunities for qualified individuals looking for a rewarding entrepreneurial experience with a Leader in the Cedar Home, Post and Beam, Timber-Log Home Systemized Housing Market. PAN ABODE Cedar Homes provides leadership and partnership guidance to ensure a successful experience for our dealers on the continent or abroad. Pre cut Utility "Play House" Structures and Sheds built from Solid Wood. Build Green! Wood & PAN ABODE Cedar Homes. NEW ZEALAND: Solid Wood home interior comfort and R-Value. THERMAL MASS: Why is wood better than other mass materials? PAN ABODE Cedar Homes Moves Head Sales Office To Downtown Renton.